When it was issued in 1856, it cost a penny. When it was sold at Sotheby’s in 2014, the tiny square of faded red paper known as the one-cent magenta cost nearly $US9.5 million, making it the world’s most valuable object by weight. 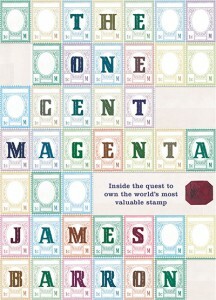 Printed in what was then British Guiana, one-cent magentas were provisional stamps intended for local newspapers. Most were later thrown out, but one survived. Discovered by a young boy in 1873, the stamp has since been through the hands of nine fanatical owners including an Australian-born engineer, a convicted murderer, and a fabulously wealthy Frenchman who hid it from view (not even King George V of England could get a peek).